Today I am sharing the tutorial I put together for my Stash Bee hive mates in case you are interested in making some “Love Letter” blocks, too! When I was notified that I had been accepted into the Stash Bee in Hive 2 this year, I knew what my design inspiration for my month was going to be: the envelopes from the notes, love letters, and cards that my husband has given me over the years. 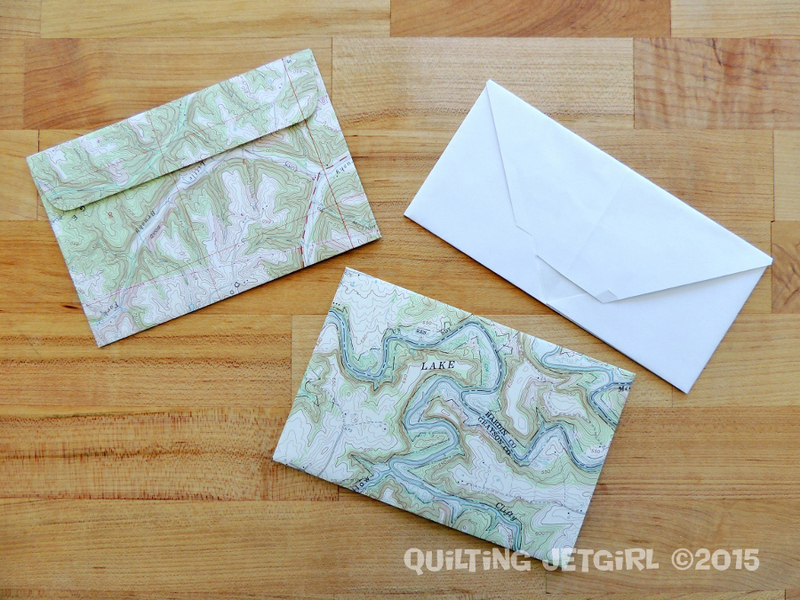 As you can see from a sample of the envelopes in the image above, the envelopes are handmade and typically made from maps or other found / recycled materials. When I read the Missouri Star Quilt Co.’s Color Issue of the Mod Block magazine, I knew that the Noted quilt was going to be perfect! 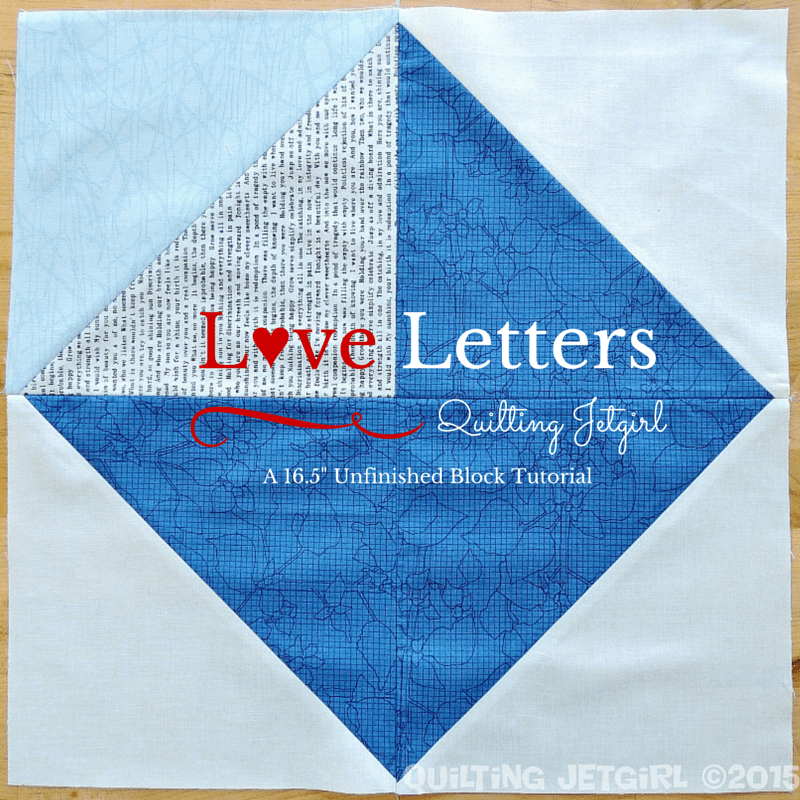 The instructions in this tutorial are not the same as those in the magazine; I created this tutorial using my typical piecing methods and I have changed the dimensions slightly to create the love letters block. 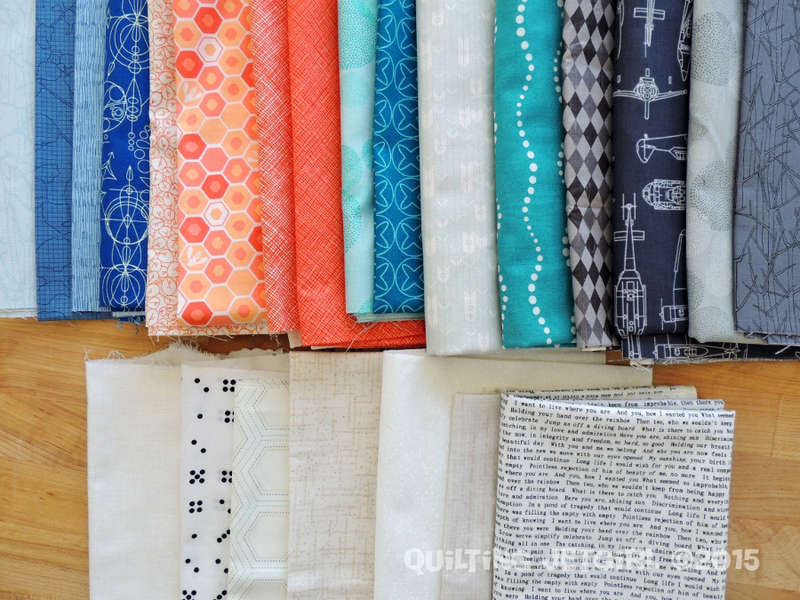 For my quilt, I chose to work with blue, orange, teal, or grey as the main color for the love letter blocks. To make the block, you will need to select two fabrics in the color of your choice: a darker tone and a lighter tone. For the background fabric, I chose to work with low volume prints that contrast with the main fabrics you selected in a Kona White to Kona Bone color range. 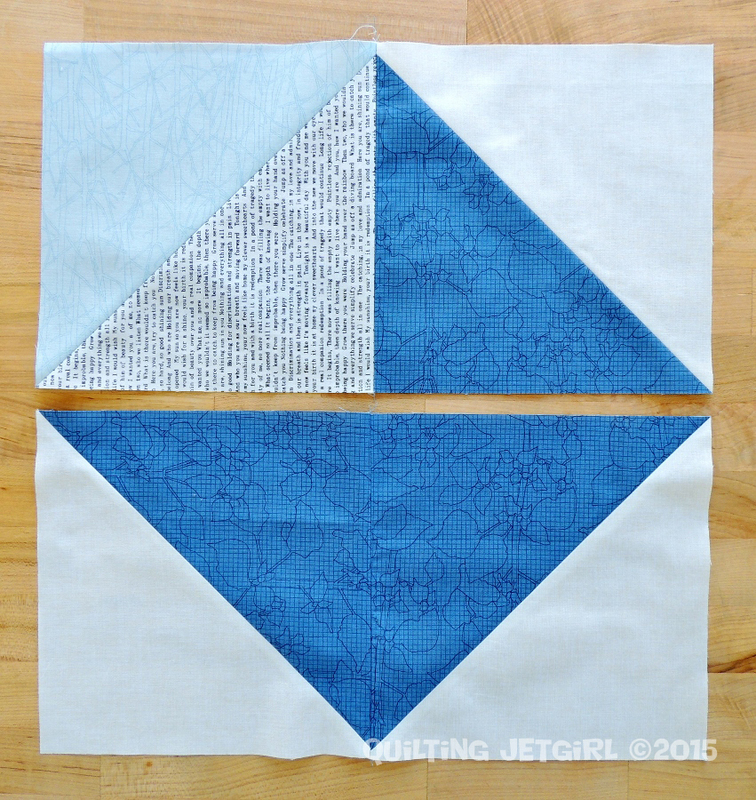 *The blocks are generously sized for making 2 HSTs at once. 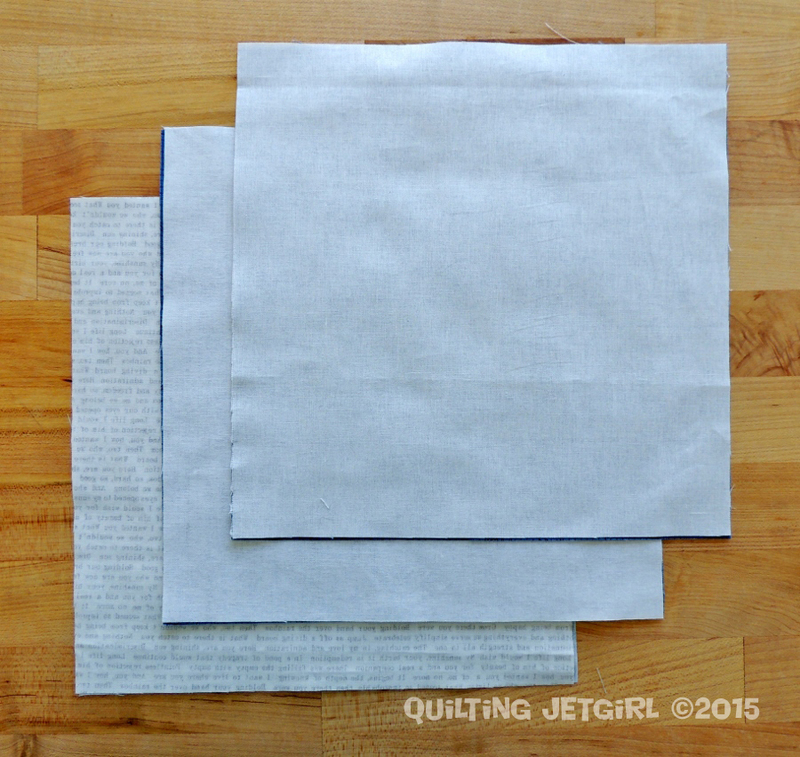 If you love HSTs and are confident with the method that I outline below, you can use 9-inch squares instead of 9.5-inch squares for less waste. 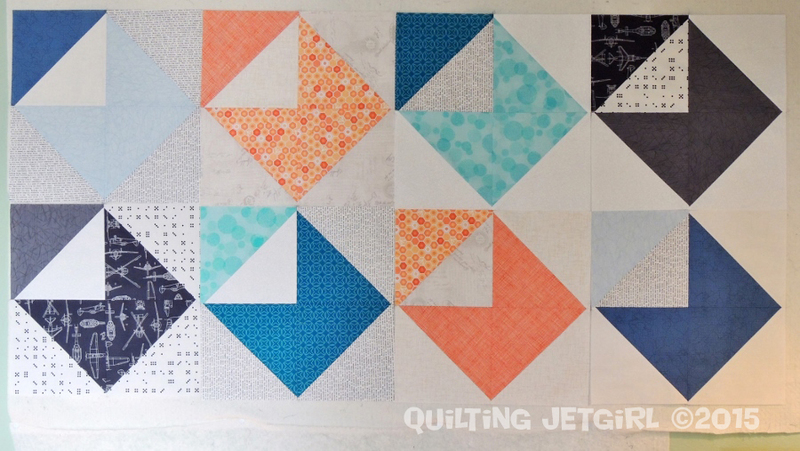 Personally, I only used 9-inch squares for my blocks when I was using a fat quarter and wanted to get 2 blocks from the short width of the fat quarter. The love letter block is made from (4) 8.5-inch unfinished half-square triangles (HSTs). You may chose to create your HSTs using any method you are familiar and comfortable with. I prefer to create oversize units and trim them back to their exact unfinished size. I have found this allows me much higher piecing accuracy during block construction. The method I am going to describe creates (2) HSTs of one color combination at once and is the basis for the cutting instructions above. Place (2) 9.5-inch squares right sides together with the background fabric on top. On the wrong side of the background fabric, mark one diagonal line from corner to corner. 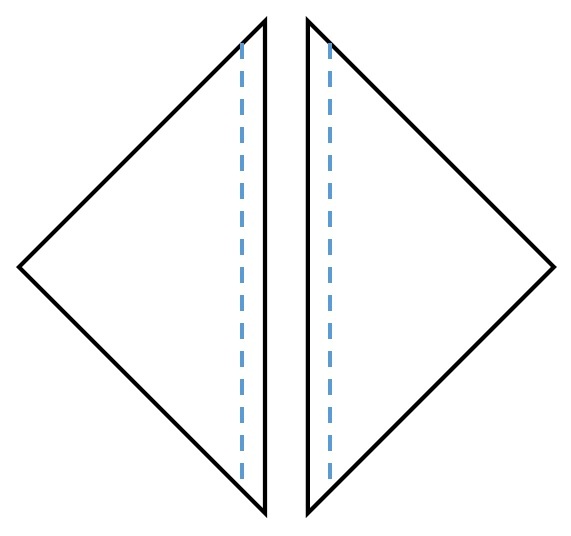 Sew a quarter inch seam allowance on either side of the marked diagonal line. 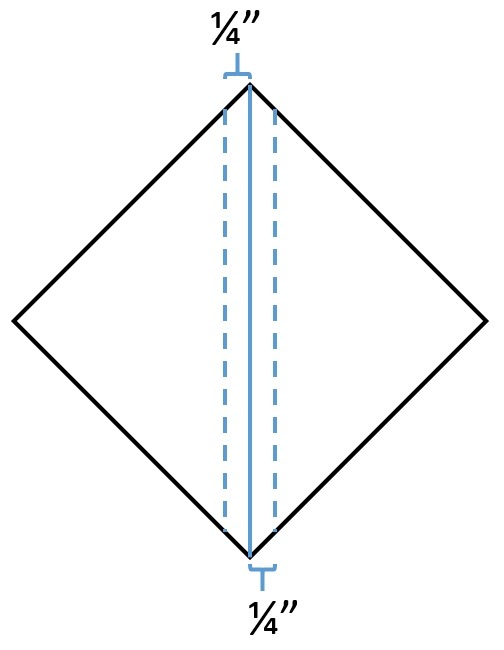 Cut into (2) triangles along the marked diagonal line. Tip: Iron the blocks to set your seams prior to Step 3. Press the HST seams open. 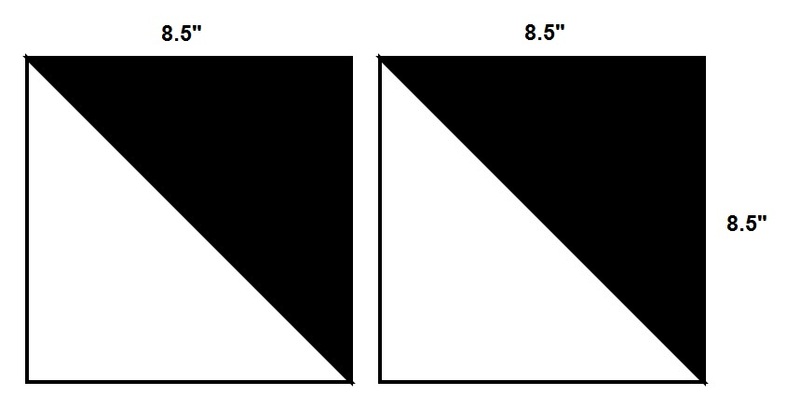 Trim to 8.5-inches square. Tip: Use a square grid ruler with 1/2″ grid increments to make trimming HSTs to size quick and easy. The (6) 9.5-inch squares will yield (6) 8.5-inch HSTs. 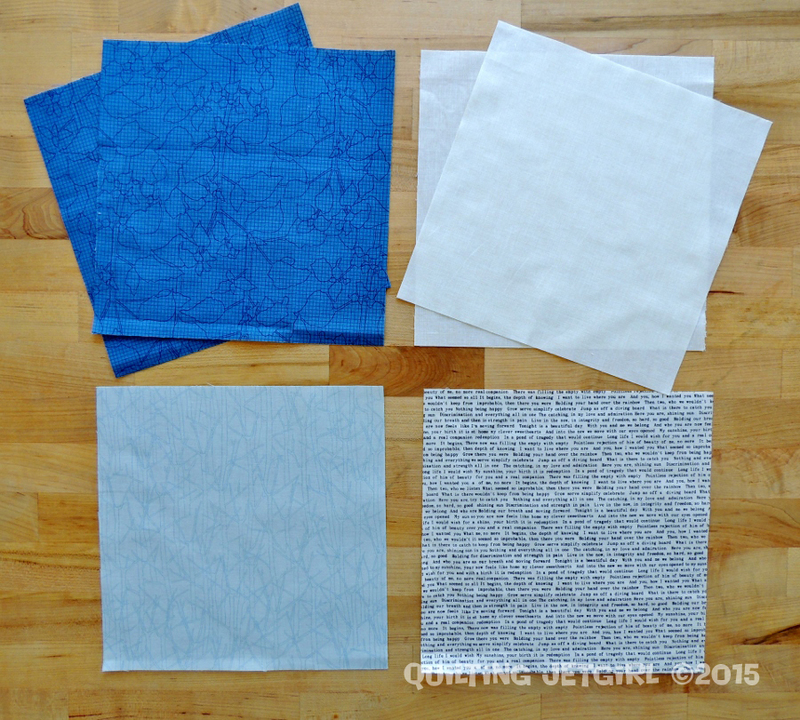 From the (6) HSTs, select (3) of the primary fabric and background and (1) from the secondary fabric and background. Following the layout shown above, sew together the rows. Then sew the rows together to complete the block. 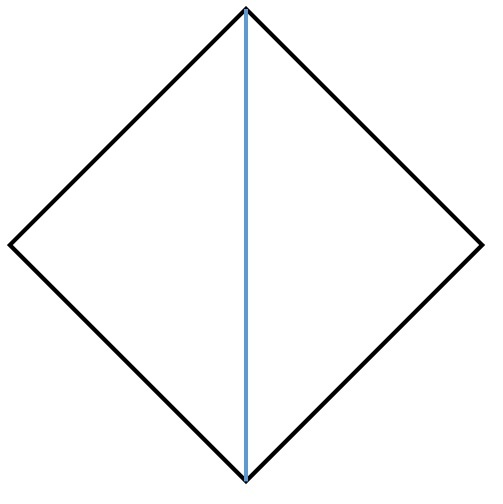 The block should measure 16.5-inches square. Linking up to Tips and Tutorials Tuesdays. Your husband writes/wrote you letters? Wow! I cannot imagine my husband putting pen to paper. This is a great pattern. Another one on the to-do list. I like that you made the blocks large, because it provides lots of space for quilting. Beautiful blocks Yvonne! Love the size and when they are together…it really looks great! Thanks for the tutorial, like your piecing method. He wrote you letters? What a sweetheart! I love the sentiment behind this fun block. Blocks and quilts with stories are the best. I noticed these are the same colors as A’s quilt! But they are so pretty together. How many blocks are each of your bee mates making? I really like these blocks and can’t wait to see the ones you receive. Great color choices. You have an awesome husband and this is a very fun block. Thanks for the tutorial. Fun looking block and it works up very nicely into a beautiful quilt. So cute! I just love it! What a special husband you have, and a lovely idea for a quilt. Great when quite a simple block is so effective too. And it felt a strange coincidence coming and catching up with this post because all my sewing time today has been spent making a fabric card to go into a fabric envelope on Maria’s quilt. I love big blocks! This will be super cute! What a clever design! Well done and thank you for sharing.